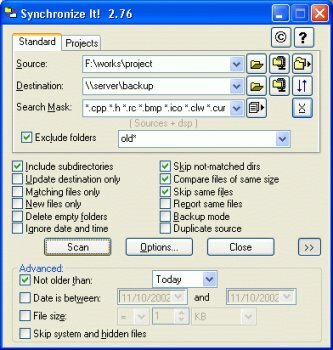 Synchronize It! is a powerful directories synchronization tool. It features customizable configurations, projects, filters, colors, and tools. It even has archives synchronization support.